Janalee Tobias is a conservative Mormon housewife who's outspoken about her love of guns. But she's even more vocal about her love of the environment and open space, to the consternation of developers, public officials and members of her own faith. In the 1990s, Tobias and a friend spoke out against development of wetlands in South Jordan. The fight went on for years, and the two were sued for $1.7 million by the developers. Only a small portion of the wetlands was preserved in the end, but despite that unhappy ending and the years of stress, Tobias continues to speak out on her views, noting that "a mom with a mouth is more powerful than a mom with a magnum." Today, Tobias is crusading to prevent a commercial development from displacing Mulligan's Golf & Games in South Jordan, a stance that has led to public battles on her Facebook page and to being called "Baghdad Bob" by the city mayor. 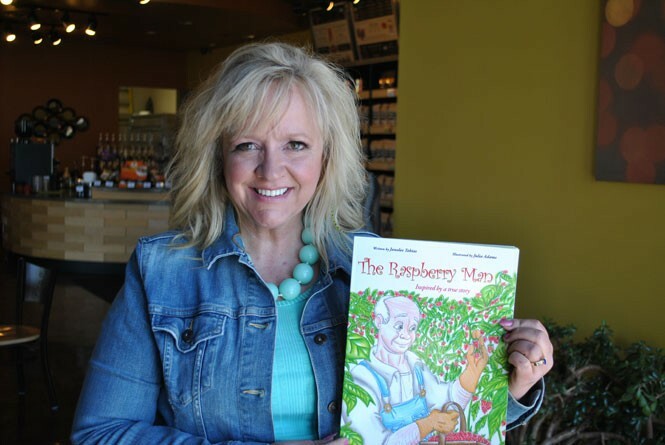 She's also the author of a picture book called The Raspberry Man, a semi-autobiographical tale of a friendship between a Danish immigrant and a young girl that itself caused a stir when Tobias tried to pass it out at a meeting of the Utah Commission on Immigration & Migration. Her grand-niece, Julia Adams, who illustrated the story, was recently interviewed by CNN for an upcoming segment of Human Factor with Dr. Sanjay Gupta. How did The Raspberry Man come about, and why did people object to it? When I was a sophomore in college, my professor asked me to write about someone who'd influenced my life. And I just put it away in my files. A couple of years ago, I was on the immigration commission. I was a citizen representative, and every other member was bought and paid for by corporations that exploit cheap illegal alien labor. I don't want illegal aliens to be exploited, I don't want citizens to be exploited. People say that since we're against illegal immigration, we don't care for people. But nothing could be further from the truth. So I remembered this story I'd written about an immigrant from Denmark. I found it in my files, and I called to ask to get on the agenda. I wanted to share it to let people know the contribution that immigrants have made to our society. The lieutenant governor's office called me and asked me why I wanted to pass it out. They talked about it forever, and then they told me I couldn't pass it out. It made me so mad—at the Utah Capitol of all places. That should be the bastion of free speech. Why are people so afraid of words? I entered the story in a contest and won first place. And my niece—my sister's granddaughter—has autism and she's incredibly talented as an artist. So I sent her the story, and she illustrated it. What's another message of The Raspberry Man? I talk about this now with moms, and they think it's a fairy tale. We grew up in the day where we were never home—5-year-old girls running around the neighborhood. I would never let my girls do what my mom let me. What has happened in America that we're scared to let our kids go and build a friendship with an elderly man? Can we ever go back to a world like that where we dare to be kind to our neighbors and form friendships? What makes you keep fighting? Utah is amazing. And it's not just mountains—it's moonscapes, forests, the Jordan River, everything. And that's why I'm so passionate about it. I've actually run in front of a bulldozer that was ripping up trees. I was screaming in my car on the way here today because they're just ripping up the river in South Jordan.